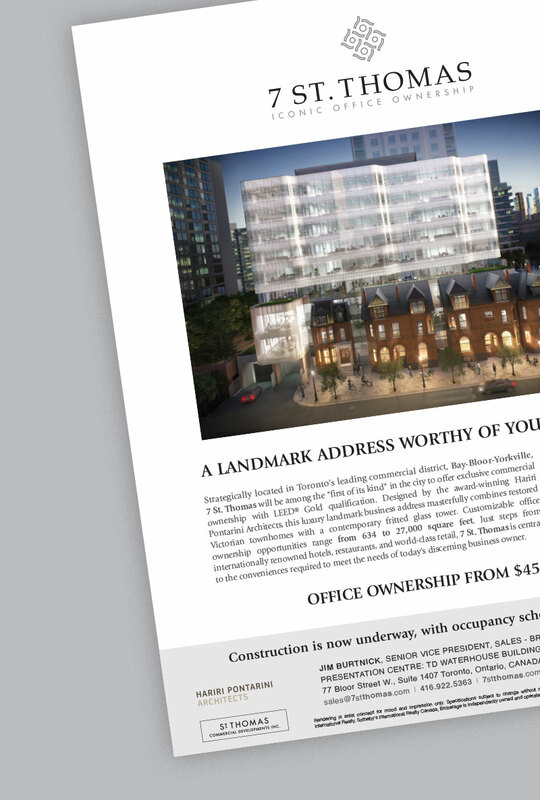 7 St. Thomas is a first of its kind, an exclusive commercial ownership opportunity in Toronto's prestigious Bloor-Yorkville district. Designed by award-winning Hariri Pontarini Architects, this luxury landmark masterfully combines restored Victorian townhomes with a contemporary fritted glass tower. 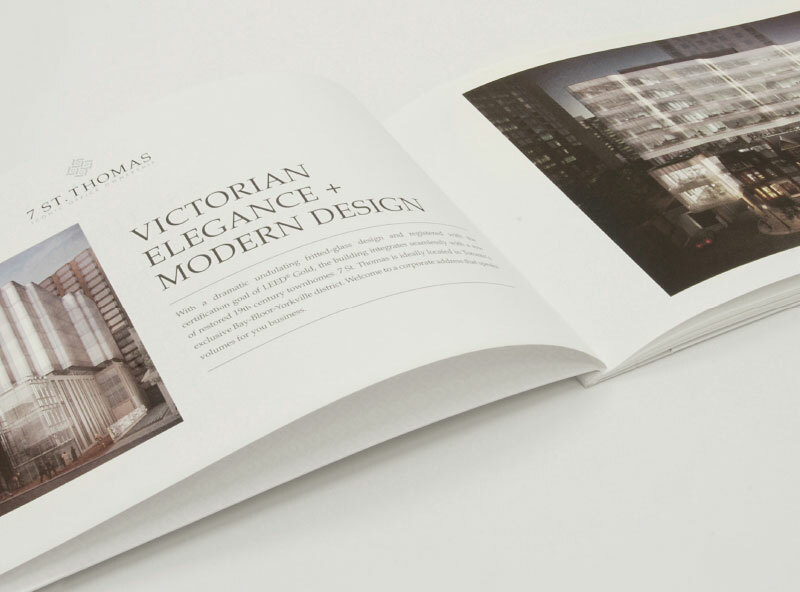 Retained by Lee Developments, our mandate was to develop a brand that paid tribute to the iconic architectural design. 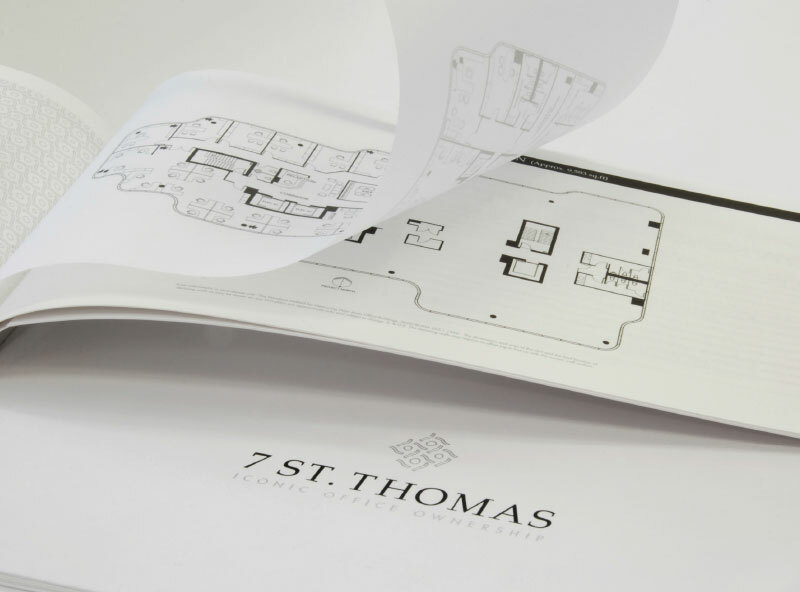 Our focus was to communicate the benefits of exclusive commercial office ownership to Canadian blue chip companies. Working alongside Sotheby's, we tailored a targeted marketing approach that effectively sold the benefits of owning rather than renting.